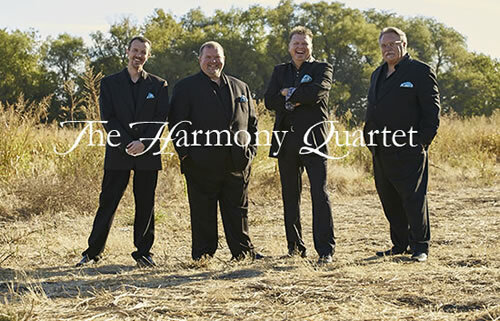 Since 1990, The Harmony Quartet has been singing the message of Jesus Christ to churches and concert stages across the nation. Their energy, humor and sensitivity to the working of the Spirit of the Living God during their concerts have endeared them to Southern Gospel audiences everywhere. Over the last decade the award-winning Harmony Quartet has been privileged to share the stage with such gospel legends as James Blackwood, The Speer Family, The Bishops, the Dove Brothers, and the Cathedral's own Danny Funderburk; as well as comedy great Jerry Clower. The group has performed at the legendary Grapevine Opry in Grapevine, Texas for over a decade and proudly claim several awards, such as Gospel Artists of the Year and Group of the Year. They are currently members of the Grapevine Opry Hall Of Fame. The group has become an increasingly sought-after quartet for church ministry and Christian concerts. The Lord is blessing and they are excited about what God has in store for their ministry in the future. Based in Plano, Texas, they attend their local churches with their families as much as possible. Harmony's ministry has strengthened over the years, and what began as a group of guys singing in church and doing a few concerts, has evolved into a quartet with a desire to share the message of Jesus, and to listen for the Lordâs direction in everything they do. They hope you will invite them for a time of worship, and they look forward to meeting each and every one of you.